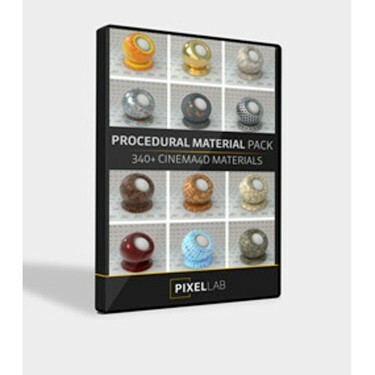 In the video, he uses Procedural Material Pack in the video above. This is a very special pack with over 340 Cinema 4D materials to help you speed up your workflow and focus on being creative! These 100% procedural materials take full advantage of the new Reflectance channel in C4D! Procedural means that they are infinitely tileable unlike many other material packs which use image textures and can create seams when you tile them. Rob Redman from Pariah Studios has a great overview of the Procedural Material pack, featured below.